Just saw this at the Music Swap Shops website. Knowing there are one or two Maton enthusiasts on this site I thought it may be of some interest. Looks to be in pretty good shape overall, but there is only one pic of it though. I have no ties with the seller or the shop selling it, though I have bought from the shop in the past and found them good to deal with. 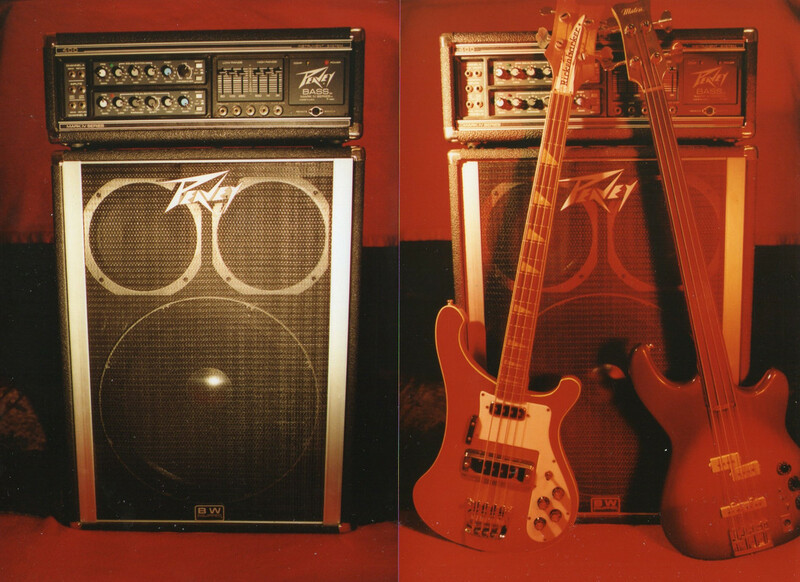 I have the fretted twin of this bass. 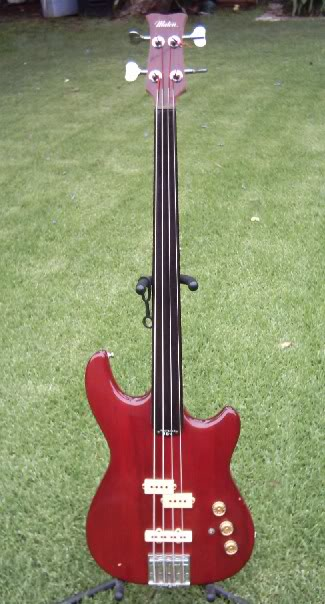 Always thought it would make a terrific fretless. Price is right up there though, even if it is serial #007. Last edited by Classic5 on 22 Apr 2018, 11:55, edited 1 time in total. Price us right up there though, even if it is serial #007. 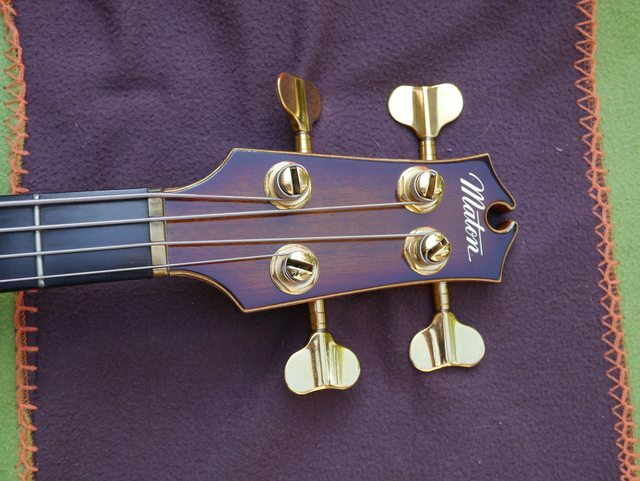 The Fretless versions are selling for more than the fretted versions. Very low Serial numbers will become increasingly important in the long term, making it a collectors bass that is still affordable enough to gig with it (for now). I have one as well, but not in as good as condition. The paint was "crazing" around the top horn and some paint has since flaked off. Mind you I only paid $1100 for it, and it had just been restrung with Thomastic flats. Regarding the finish, people pay premiums for that "relic" look, so it may be worth more now! Have no idea what serial # mine is, cant seem to locate it on the bass, so I suppose that means it must be in one of the cavities. I was surprised the size overall is slightly smaller than the fretted/fretless JB4s though, I thought the only difference was in the active EMG pickups VS the passive DiMarzio's in the JB4s. Hey Craig, the serial number on mine is stamped into the wood on the top back of the headstock. I just pulled mine out of storage, took the photo and had a play. It sounds better than ever to be honest. The pickups always seemed a little too hot for me but I know how to tame them now. Just did a quick recording and it came up sounding massive. I'll pull the bass out and have a look. Pretty sure I looked there, but no harm in checking again. Last edited by bsod on 24 Apr 2018, 20:45, edited 1 time in total. Last edited by NotTheFish on 23 Apr 2018, 10:24, edited 1 time in total. OK.. Done.. Yeah I do share the photo rather often..
My son bought mine from me a few years ago but he has orders to sell it back to me before anyone else. Bad pic of it is all I have although mine is a Maton JB4 Jumbuck Fretless. I'm battling to understand the distinction here between the MGB and JB basses - they have the same pickup config, both neck-through, both sassafrass bodies. Can anyone enlighten me on any other variations? The MGB4 is active the JB4 is passive. The MGB4 is active but also has a switch to run it in passive mode. The pickups are also different in that the MGB4 uses active "Magnetics" pickups. When in active mode there is one tone control that boosts bass and treble. I find I like recording in passive mode but active mode is great for live playing. 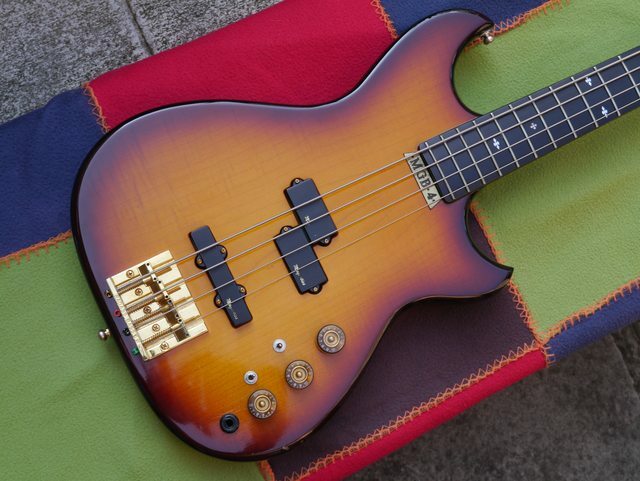 It really is a very nice bass. With regards to the neck, I actually think it may be a set neck rather than neck thru.